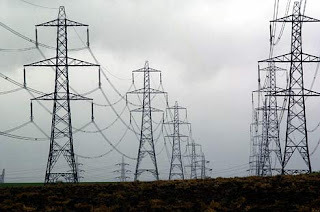 Aggrieved owners of a property on which the 215 megawatts power station is being constructed in the Kudenda area of Kaduna held the Minister of Power, Prof. Chinedu Nebo, hostage on Saturday. The minister who was on facility tour had gone to inspect the ongoing project located at the Kudenda, when he met the protesters. As soon as he finished inspecting the project, some people blocked the main entrance to the power plant, forcing the minister and his entourage to disembark from their cars to address the protesters who were demanding for compensation for their land. Spokesman of the protesters, Mr. Francis Nwodo, told the minister that the Kaduna State Government under the then governor and now Vice-President Namadi Sambo took over their land four years ago for the project without any alternative arrangement of relocating them. Nwobodo said, “When he was governor, the vice-president came here and told us that the government was interested in this land and that the power plant would benefit all of us. He promised to give us another land and based on that, we willingly gave away our land. ALSO CHECK: Apparently, Skiibii Might Still Be Alive. News Developing! “Four years after, we have not heard anything. The late governor Patrick Yakowa came here and promised that they would do something. Some of us have died and yet, we are yet to be given another land”. Responding, the minister said the government was willing to fulfil its promise of giving them another land. 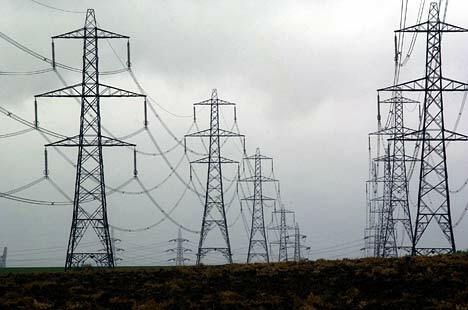 Meanwhile, no fewer than N3.7bn worth of electricity projects under the Kaduna Electricity Distribution Company may be abandoned, if concerted efforts are not made by the Federal Government to complete them before the eventual sale of the electricity outfit to private investors. Managing Director of the Kaduna Electricity Distribution Company, Alhaji Idris Mohammed, said during the minister’s visit to Kaduna. He said lack of budgetary provision for the projects in the 2013 budget might stall their completion. In a related development, Nebo has said the Federal government will address the paucity of funding confronting the Olorunsogo Power Station Phase 1 in Ogun State. Nebo said this would enable the power plant to stay afloat and meet its 335 Megawatts capacity target. The minister said this on Friday during his tour of the plant site where he was received by the Managing Director/Chief Executive Officer of Olorunsogo Power Plc, Mr. Philip Ugwu; the Vice-President of SEPCO111, Mr. Sun Qili and SEPCO111 Project Manager, Mr Li Xianlai.